2015 was the year that some serious cycling money showed up from the Government, in the form of the Urban Cycleways Programme. This had an electric effect on cycleway plans around the country, to the effect that, when the dust had settled, there was $330 million in the pipeline ready to be spent over the next three years (and we’re already starting to see some of that on the ground elsewhere). Christchurch got its share of that too, about $70m worth over that period, although of course the bigger game plan is to see a $150m network constructed here over the next five years. And, despite some misguided curmudgeons, the strong economic case for those cycleways was also highlighted by the City Council. By the end of the year, the economic benefits to businesses alongside those new cycleways also had to be spelt out (probably not for the first time…). The Government’s transport agencies also started to get serious this year about supporting cycling in various other ways. That included taking on board the Cycling Safety Panel’s recommendations and starting to provide technical support for cycleway planning, review traffic legislation affecting cycling, and updating national design guidance for cycling. 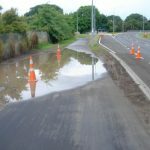 Whether coincidence or not, it is notable that the year has seen only five cyclist deaths nationally from motor vehicle collisions (about half the recent average), with the only local cycling victims this year coming from incidents involving downhill grades and off-road drains, not motor vehicles. Have we already started to turn a corner? 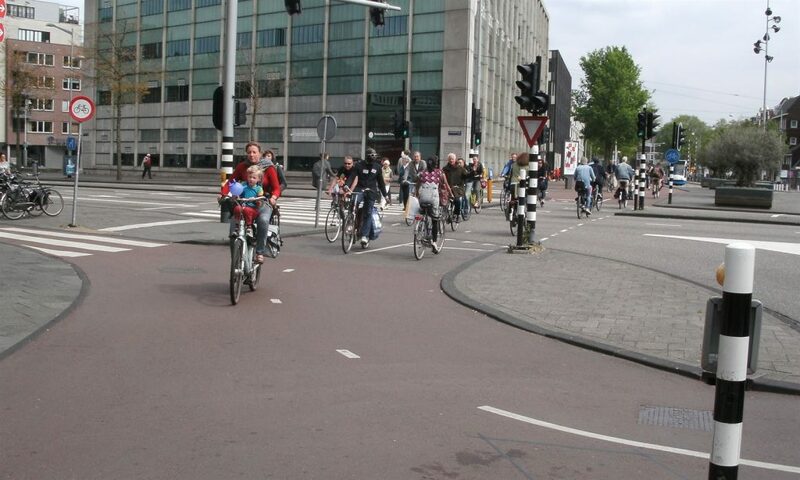 How much do we need to improve infrastructure or road user behaviour? There were other signs of a “cycling culture” starting to re-emerge in Christchurch this year too. 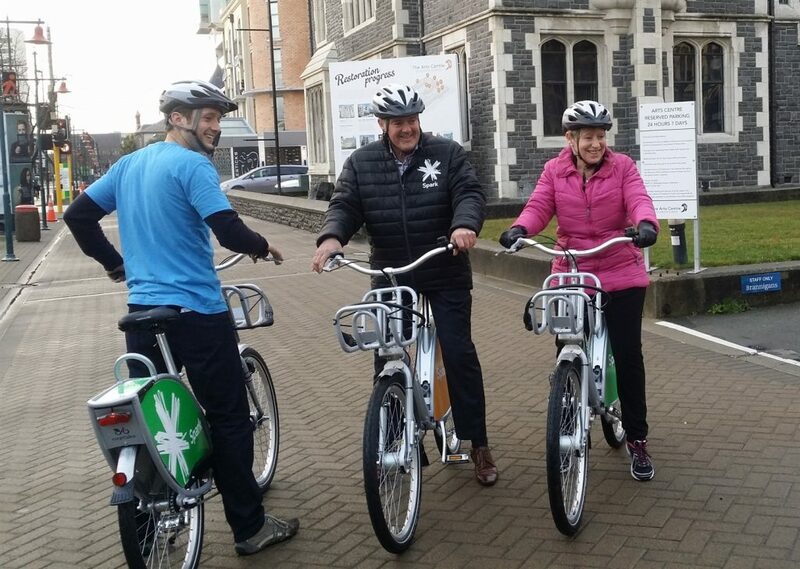 A key moment was the launch in August of the “Spark Bikes” public bikeshare scheme in the central city – now there was the opportunity to hire a bike for short trips around the city. The opening of the new Bus Interchange also included some great amenities for “bus’n’ride” too, and work continued to improve the understanding between bus drivers and cyclists. The fantastic folks at RAD Bikes and ICEcycles also continue to deliver recycled and repaired bikes for the community. And for those who like some off-road recreational riding, the promise of an exciting new mountain bike park in the Port Hills in another year or so is also something to look forward to. That’s not to say there wasn’t controversy about cycling and particularly in relation to motorists. The biggest furore locally was undoubtedly when a cyclist was ticketed for “impeding traffic” on Dyers Pass Rd; as we reviewed here, this incident provoked strong reactions on both sides but hopefully also some productive dialogue going forward with the Police and an opportunity to improve the route for cycling too (thanks for all your survey feedback; over 800 responses!). The potential introduction of a minimum distance rule when passing cyclists is also getting some people hot under the collar but, as we explained, the reality is likely to be less of a problem. So how do you safely pass someone riding here? 2015 was also a year of great experience for me, where I was lucky to see a huge array of overseas cycling examples from both North America and Europe. There are certainly plenty of great examplars from elsewhere of how things could be done (always hard to go past brilliant places like Utrecht, Münster, Amsterdam, and Freiburg), but it’s equally interesting to see the places that are working hard to build a similar reputation (e.g. New York, London, Nantes, and Munich). Having the chance to see a lot of different places elsewhere however also made me appreciate that, in the world scheme of things, Christchurch already ranks fairly highly (e.g. away from The Netherlands and Denmark, not that many cities of our size have 8% of commuters cycling). We are starting from a good base, and that augurs well for what the new Major Cycleways can do to cycling in Christchurch. 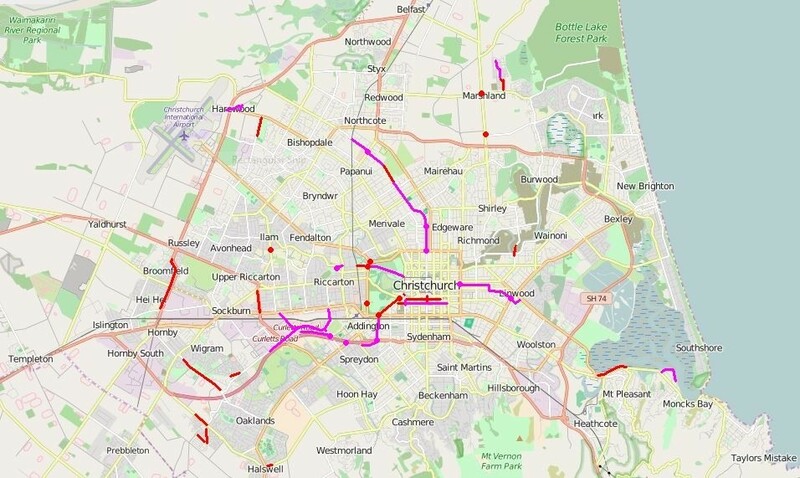 Looking forward to 2016, the momentum for cycleways in Christchurch is looking to continue, especially now that the major design/implementation consortia have been appointed by the City Council for completing the Major Cycleway Programme. I’m hoping to also see more progress on reducing traffic speeds around Christchurch; another important part of making the city cycle-friendly. The trick will be dealing with the inevitable challenges from local objections any time that parking or traffic priority/access is threatened. Another twist will come in the form of the next local body elections at the end of the year, so our elected members will be more sensitive than usual to ratepayer concerns. At the national level, there should also be some progress on introducing a few cycle-friendly changes to some traffic rules (we’ll let you know when that happens). 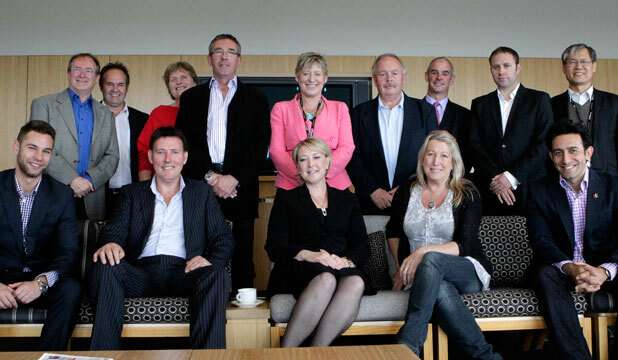 I’m also looking forward to another great national 2WALKandCYCLE conference in Auckland – well worth attending. Will City Councillors continue to support cycling in 2016? Thanks for all your readership, support and comments this past year; I really appreciate the conversations and contributions. 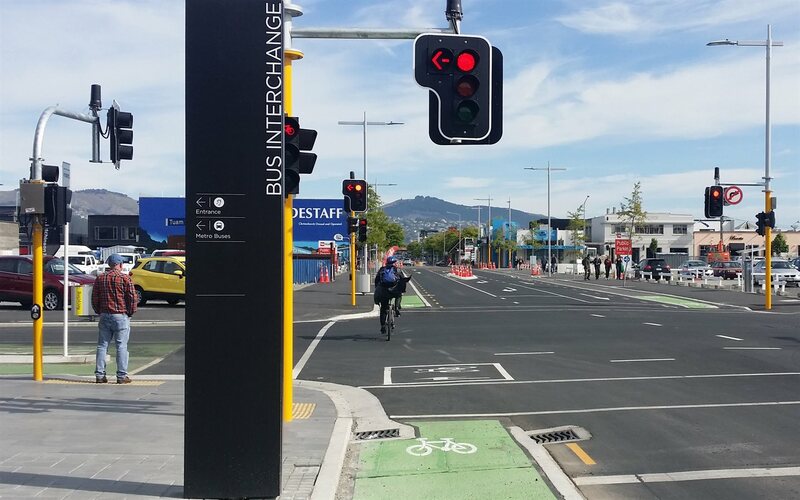 Please keep spreading the word out there to friends and family who also want to see a better cycling-friendly Christchurch in the year(s) to come – we’d love to have even more regular readers! And thanks to my fellow bloggers, regular or one-off, your contributions are all greatly appreciated (especially when I’m too busy to write one!). Next year will be an interesting one for me, with a change of job looming in April; but rest assured that Cycling in Chch will continue to keep you informed about all that’s happening around the city (always happy to accept offers to contribute something to the site too!). In the very near future, also expect to see a few little changes to our website as we shift to a new host – hopefully we can add a few more useful features to the site in due course as well. 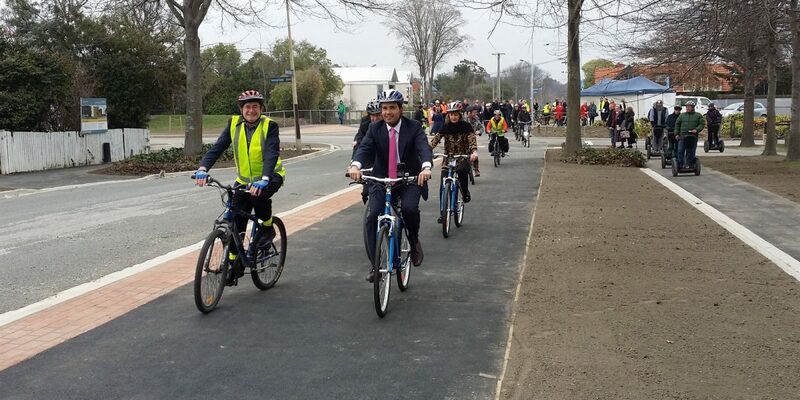 What did you think of 2015 for cycling in Chch? What are you looking forward to in 2016? Thanks for the excellent and informative articles. Really interesting. I know how much work it must be for you. Is it just me, or have cyclist numbers increased this year, even since the census? There’s one stretch of road I drive on regularly where cyclists are quite tricky to pass, so I remenber them more. Where there used to be perhaps one a week, it seems that now they’re almost daily – frequency and visibility which is great for cycle safety. One crucial element I believe the council needs to gets right is directional signage. It must be easy to read, extensive, and show the different cycleways that connect, much like on a motorway. LennyBoy happy New Year to you! Many thanks for all your posts in 2015, without exception they were an absolute pleasure to read..Bring on 2016, the year of cycling! !